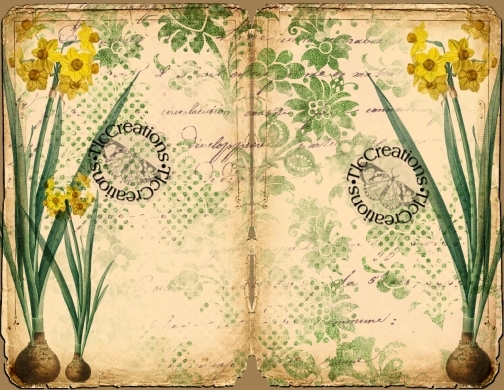 This Journal Kit is an instant download item. After purchase ,the link will appear in your "Purchases" area on Etsy. No physical product is sent. OK to print and use in the journals that you sell. Due to the nature of the product, there are no refunds. Item ships from: Tustin, CA, US. All files are emailed to you within 24 hours. Forest Fantasy Printable Junk Journal Kit is really awesome and there is so much that I will be able to do with it. Very very well made. Thank you. It was delivered very fast. I will buy again! Great graphics/wordart! Nice large files, perfect for any project. Nice large files. Great graphics! Lovely word art set! Many thanks Paulette. I love all of your work and free gifts. Thank you for everything. I love this set,thanks so much Paulette! TLC is Fabulous!!!! Design is GREAT. Using this website? Not so great. Clunky and cumbersome. Hard to search on just TLC designs. Seller- Paulette, is very nice and always gets the items right out to you. Her workmanship is some of the best I have seen on vintage images. Love the images and fabulous service. Haven't used them yet but they look amazing - downloaded all items easily. Wonderful things, very pleased with my purchase! All of her digital images are wonderful and she is helpful and will do anything to accomidate her customers. If I had more money to buy more, it would definitely be from this wonderful seller! Digital Creations with TLC = quality digi's for any occasion! You can't go wrong with digi's from Paulette. And she is sweet to boot!! Thanks so much for adding this item. Absolutely wonderful digis from a very talented creator.......worth every penny. Such a great verity of images. Due to the nature of the product, returns or refunds are not allowed.